The challenge over at Hambo Hoedown this week is to make a card with gold on it. 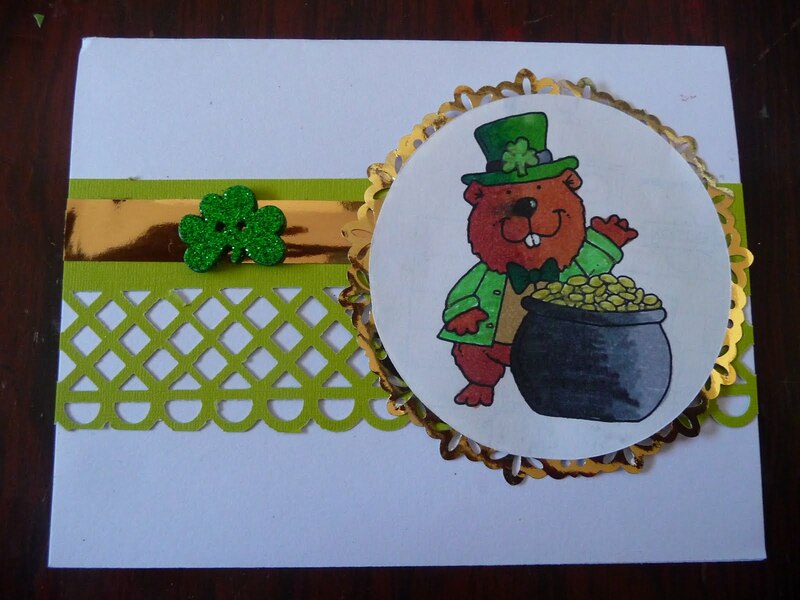 This is what I came up with, this cute image is called St. Pat Hamster, just perfect for St. Patrick's Day. If you played last week you would have received him through e-mail, if not than you can use any of Hambo's images and follow the theme. Good Luck Everyone!! Beautiful gold! Thanks for joining in the Hoedown! sp very pretty, love the colors and the funny image!